Looking for a simple, effective way to display a variety of FootJoy Golf Gloves, Acushnet selected Do-It Corporation’s R-52 Fold-Up Hang Tab. 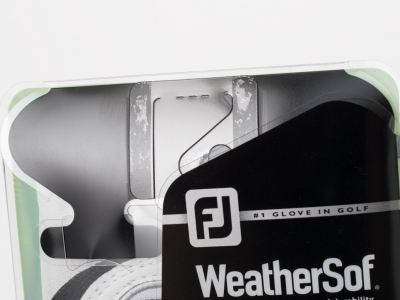 The fold-up style hang tab gives retailers the option of hanging the gloves­—or not. The hang tab stays folded down until needed and master carton packaging remains the same. Hook hang tabs allow customers to select any package from the peg hook without the trouble of removing the packages in front. Great for multiple sizes or colors displayed on the same peg hook.